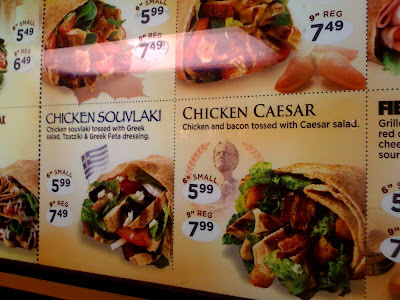 Papyrus Chicken Souvlaki Pita | Papyrus Watch - Exposing the overuse of the Papyrus font. The Chicken Souvlaki at Extreme Pita. I just ate one, and it was delicious, but, well, I dunno it's Papyrus. I just wanted the tzatziki and feta combo so bad.